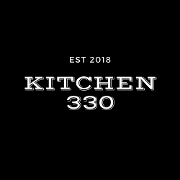 Kitchen 330 is a casual neighborhood restaurant providing diners in Stone Harbor and its surrounding area with a stylish, friendly, experience and features a menu based on local and seasonal fare. We serve straight forward and honest food, some familiar dishes some unexpected. We strive to deliver depth of flavor with fresh ingredients through Chef Gus Zimmerman product driven approach with a balance of classic and modern techniques.